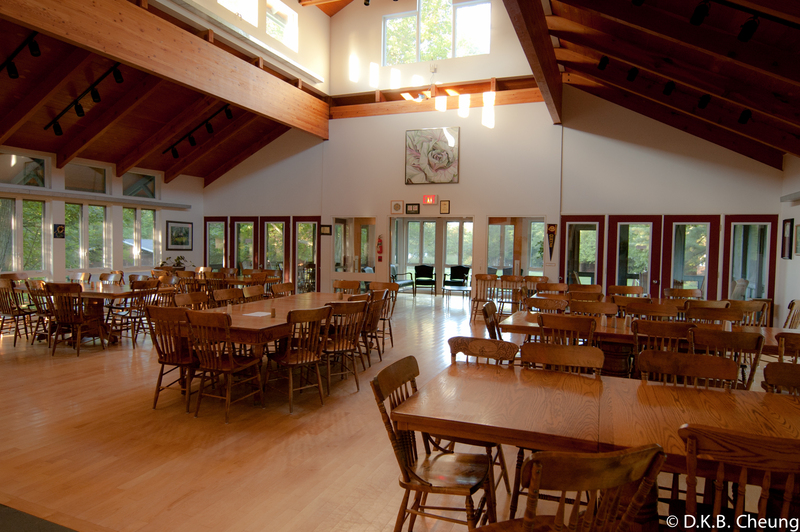 A view of the main lodge. 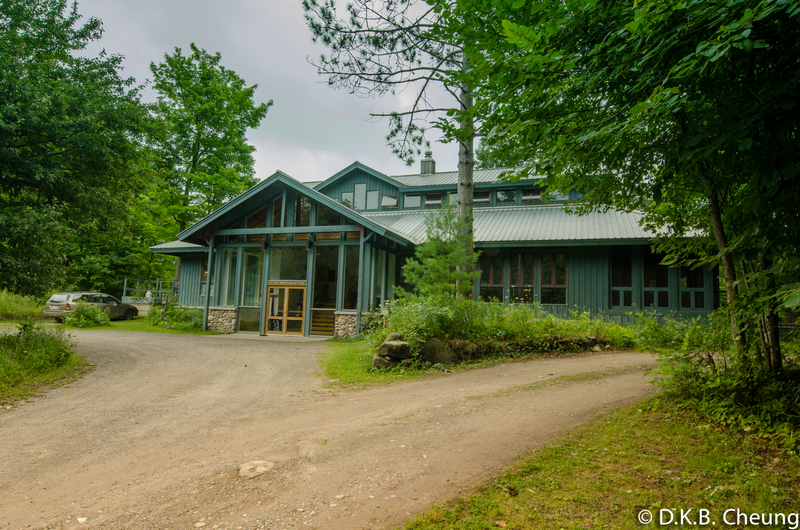 The Queen’s University Biological Station (QUBS) is a multi-use facility that services both research and teaching. The station comprises several buildings on a peninsula that juts into Lake Opinicon. Home cooked meals are served and enjoyed in the beautiful dining room of the main lodge. The buildings include the main lodge, the Brown lab (teaching and collections), the tri-lab (fish research), the reptile lab and the boathouse. Instructor and student cabins encircle these buildings. The location of the QUBS is ideal as it is walking distance to several ideal collecting habitats: field habitats, mixed hardwood forests, marsh habitat and the lake itself. There will be chances to unwind after a long day of entomological bliss. 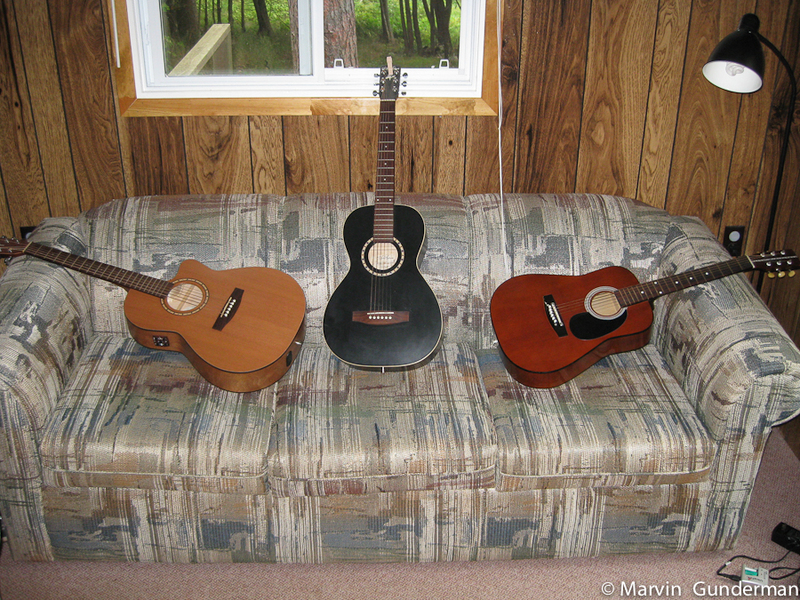 Students often bring their guitars or music. The idyllic location of the QUBS means that activities such as swimming and canoeing are encouraged. Students may also hike and/or jog along the station roads. The QUBS offers many spots for quiet reflection, devouring a good book, listening to music or surfing the interweb using the tubes. For more information about QUBS click here. Students are required to give a 20 minute seminar on an assigned topic about general insect morphology and biology. These presentations are designed to give other students the background knowledge for the course. During the course the the majority of the time will be spent on creating a pinned insect collection. Students will have the choice of submitting a research paper of their choice or a species blog, either to be submitted six weeks after the course is over. Examples of these can be found here.